One year ago the final three members of the Miami Five returned home, and Cuba and the US made historic announcements that they would establish diplomatic relations. While we welcome the significant progress in relations between the two countries there is still so much to be done: the US Blockade is still in place, Guantánamo Bay is still illegally occupied and the US still maintains a series of aggressive policies towards Cuba. Today we review significant moments from the last 12 months and look forward to future challenges for Cuba and the Cuba Solidarity Campaign. Thank you for all your past efforts and those you will make in the future. 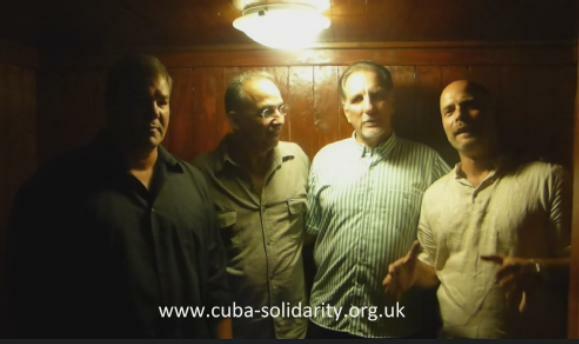 We look forward to welcoming the Miami Five to Britain in 2016, and continuing to campaign together to end the blockade once and for all. 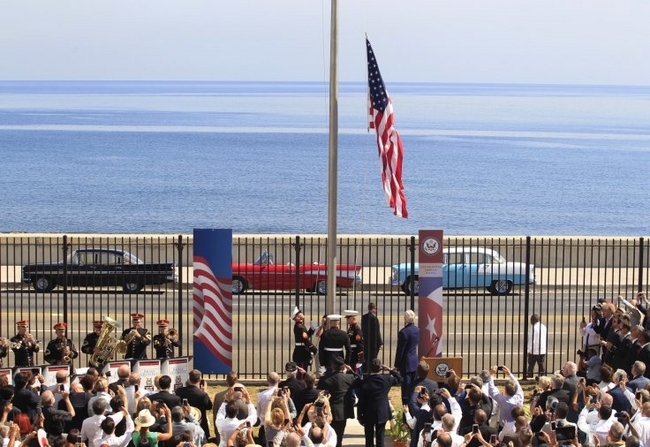 Cuba and the US announce the establishment of diplomatic ties. 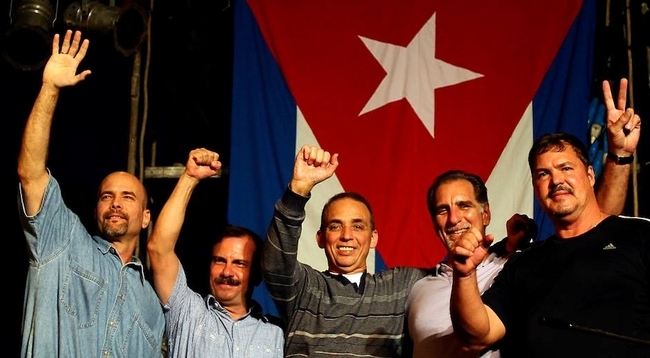 The final three members of the Miami Five are released and return home to Cuba after more than 16 years unjust imprisonment in US jails. Statements by the Cuban and US governments announce diplomatic relations will be established. The US State Department announces $11 million in grants for US and foreign-based organisations to run "civil, political and labour rights" (aka regime change) programmes in Cuba. 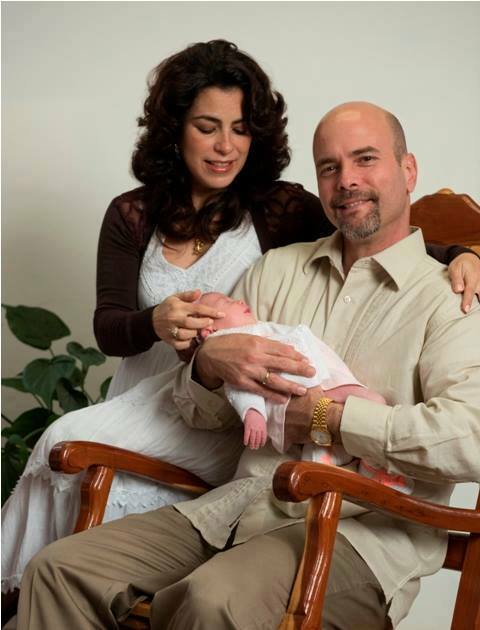 Gema Hernandez, the daughter of Miami Five prisoner Gerardo and his wife Adriana is born. The "miracle" baby is the result of secret IVF treatment begun while Gerardo was in jail and despite the fact Adriana was denied a visa to visit her husband for almost his entire sentence. Diplomatic relations begin between the two countries, with the first round of talks taking place in Havana. 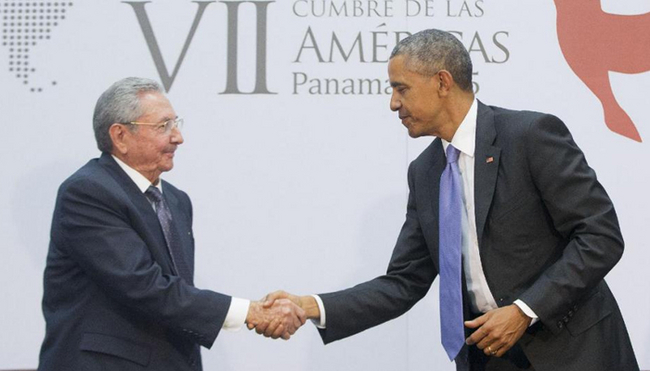 Presidents Castro and Obama attend the Summit of the Americas(OAS) and hold historic bilateral meetings - the first face-to-face meeting between Cuban and US leaders in almost 60 years. Raul's attendance at the OAS is the first by a Cuban president since 1962. 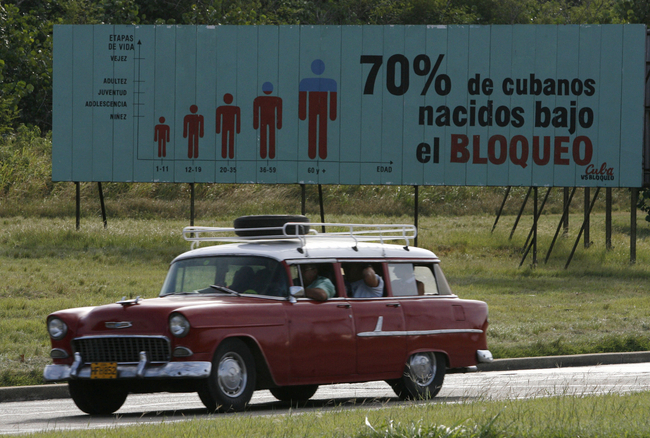 Cuba is officially removed from the US government's State Sponsors of Terrorism list. The US Appropriations Committe approves $30 million for programmes to "promote democracy and strengthen civil society" (aka regime change) in 2016. This is on top of $20 million already assigned for similar activities in 2015. The Cuban embassy in Washington DC is opened on 20 July, closely followed by the US Embassy in Havana on 17 August. Watch the Democracy Now report from the US Embassy opening in Havana. 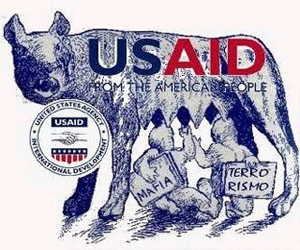 USAID advertises for Cuba programme managers with experience in "democracy promotion, human rights, civil society development, community development, and youth programmes" (aka regime change) on salaries ranging from $90,000 - $139,000 and secret security clearance. Cuba presents its 2015 report on the impact of the blockade in advance of the United Nations vote. It estimates that the US policy has cost the country more than $833 billion over five decades. 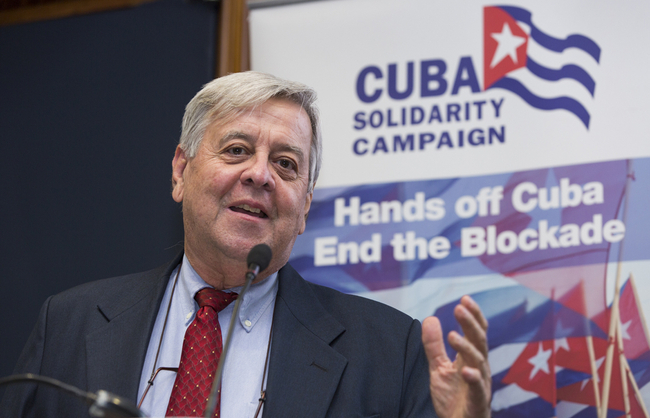 Solidarity campaigners are urged to remain vigilent about US intentions in Cuba the Cuban Futures Conference in London. “We might end up with the American electorate deciding to elect Marco Rubio, Jeb Bush, Donald Trump – nobody knows what the possibilities are … We haven’t reached the moment where these processes are irreversible yet." Former Cuban diplomat Carlos Alzugaray. 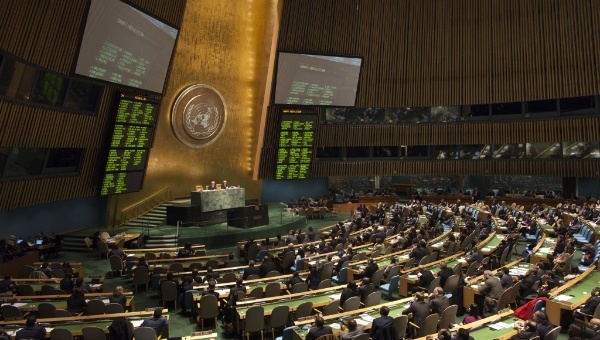 The US remains isolated at the United Nations General Assembly vote. 191 countries vote with Cuba to condemen the blockade with just the US and Israel voting against. Cuban Foreign Minister Bruno Rodriguez. A historic ruling by the British Court of Appeal opens the door for René González and other members of the Miami Five to visit Britain in 2016. The Court ruled that the British government had breached the freedom of MPs to hear from René after they denied him a visa to attend a meeting at the House of Commons. The Miami Five have already visited more than 20 countries between them since their release but the British government has denied them visas. Watch the Five's recorded thank you message. Joint agreements on environmental protection and marine conservation are signed between Cuba and the US - the first direct cooperative agreements reached since negotiations between the two countries began. 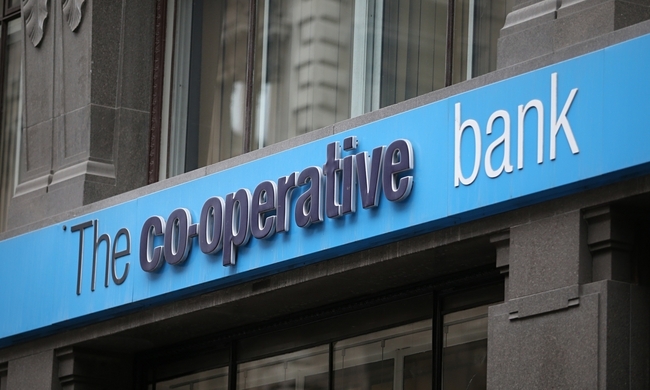 News breaks that the Cooperative bank has closed theaccount of the Cuba Solidarity Campaign as the bank has changed “its risk appetite”. A campaign against this is launched. Cuba and the US begin talks on property claims by individuals and companies who left Cuba after the Revolution in 1959. The two countries also agree to reestablish a direct postal service after more than five decades without one. Bills will be presented before Congress in 2016 which aim to relax travel by US citizens and increase trade with Cuba. However, the cornerstones of blockade legislation: the Helms-Burton Act, the Trading with the Enemy Act, and the Cuban Democracy Act remain in place and must be removed before the blockade can end. Action by the US Congress is essential to make these changes. But our own British government has a role to play in joining international pressure on the United States government to end the blockade and return Guantánamo to Cuba, as well as ending discriminatory banking practices which impact on British companies. Please support the campaign to end the US blockade by joining CSC here, or donating to our campaigning work in 2016 here. Arleen Rodriguez speaking at Cuban Futures 2015.